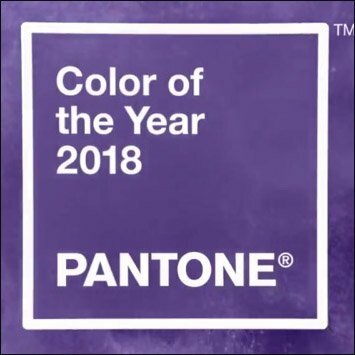 The ultimate color source describes Pantone Ultra Violet 2018 Color of the Year as both provocative and thoughtful. While they say full of emotion, FixturesCloseUp might add full of energy. On the “thoughtful” side Pantone cites a history of spiritualness and mindfulness associated with the color. Read more about the Pantone Ultra Violet 2018 Color of the Year introduction here. Scroll down for previous Pantone Colors and alternate color model hue recommendations.